The team allow the Silver Surfer to hypnotize them, so that they may get closer to Doctor Doom, the power behind Silver Surfer's madness. 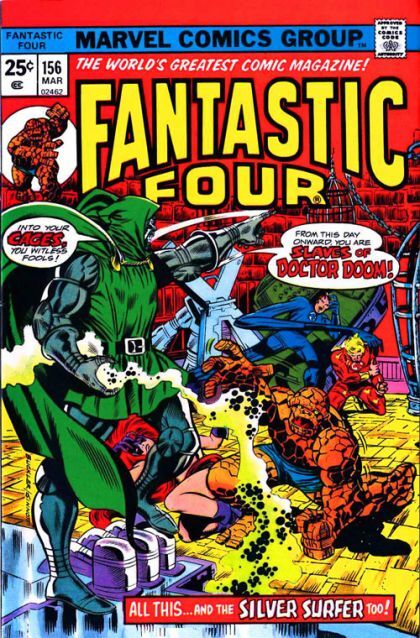 Doom has traps prepared tailor made for the team, and refuses to let Reed get out of his mental restraints. Worse yet, he is siphoning off the Silver Surfer's power for himself. What hope have the four?